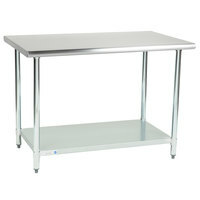 Add additional workspace to your kitchen with this Steelton 24" x 36" economy stainless steel commercial work table. 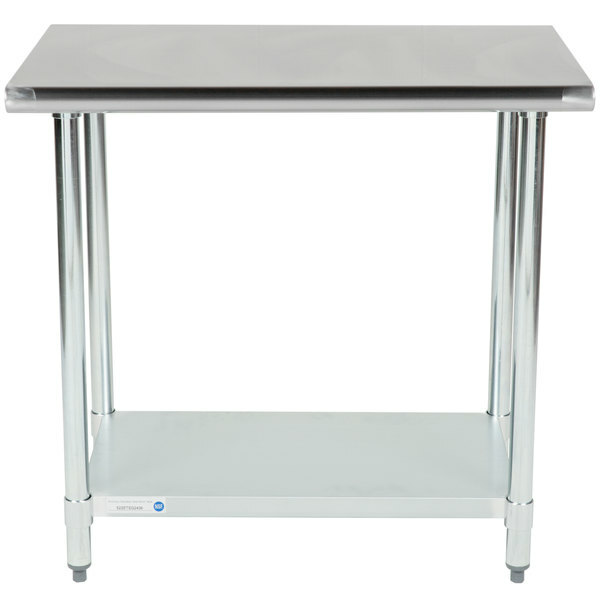 If you are looking for a work table that will support the needs of your business without breaking the bank, look no further than this Steelton 18 gauge economy 430 stainless steel work table with an undershelf! 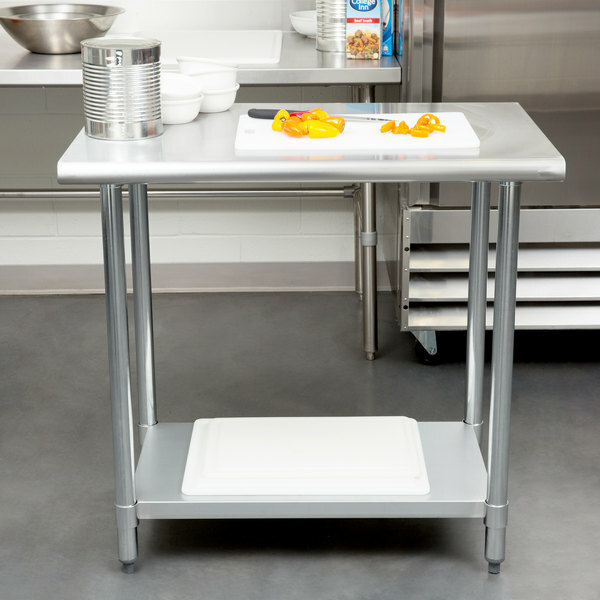 This table is made to perform the basic tasks of a work table like offering you a place to prepare fruits and vegetables, open cans, mix ingredients, and plate meals but without the initial cost of a heavier gauge table. 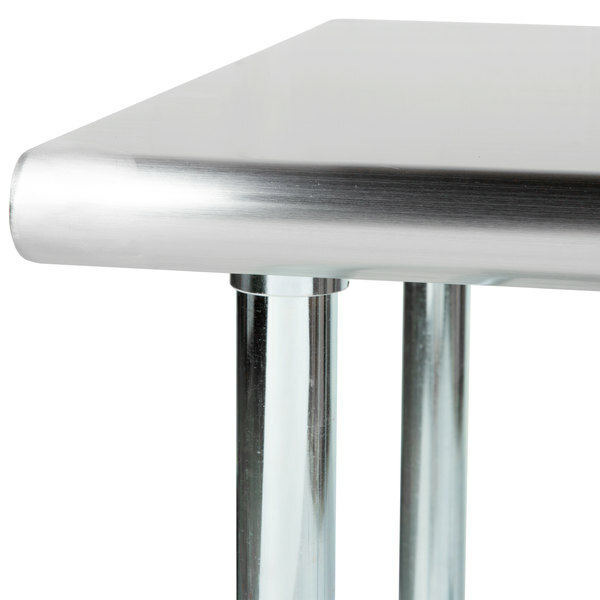 "Great table. 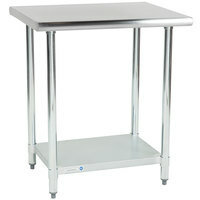 Sturdy, I have a fountain soda with 100lb ice bin and there's no issues with support. 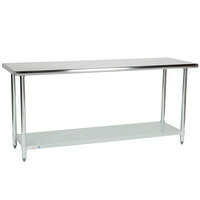 I would recommend to anyone that needs a strong table." 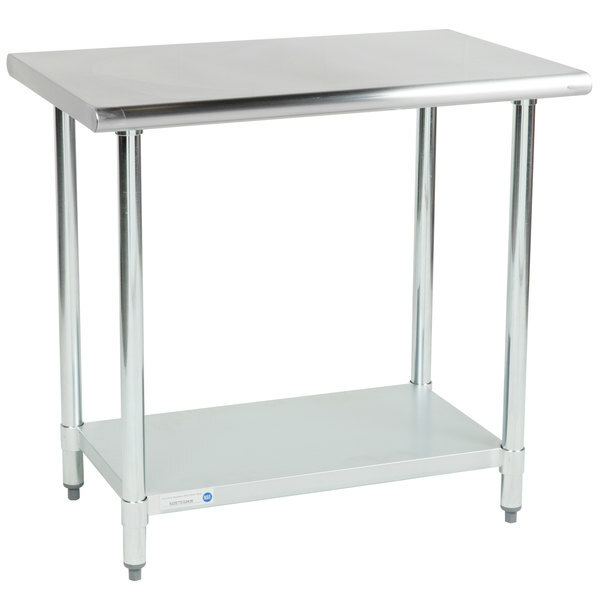 Ideal for areas of your business that don't see heavy use and don't require an expensive heavy-duty table, this economy work table features an 18 gauge, type 430 stainless steel top with a rolled front edge. 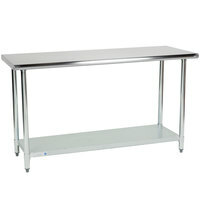 The perfect size to fit in smaller kitchens, this work table provides you with additional work space so you don't have to overcrowd your countertops. 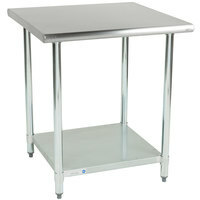 It also offers you a place to store frequently used items like sanitizing pails, towels, mixing bowls, cutting boards, and more since it comes with a galvanized steel adjustable undershelf. 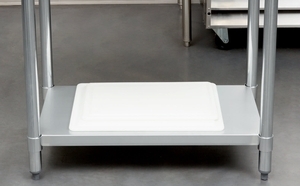 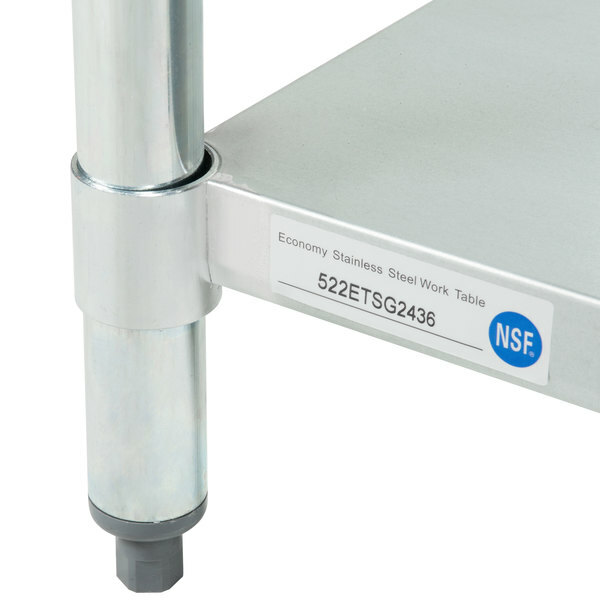 When placed 6" off of the ground, this shelf complies with food safety regulations. 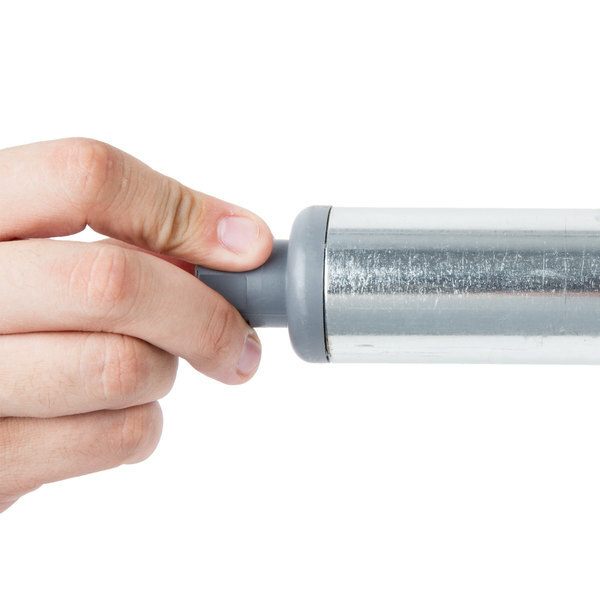 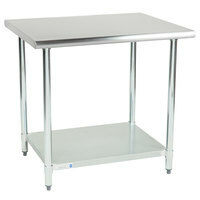 Galvanized steel legs support the tabletop and provide excellent corrosion resistance. 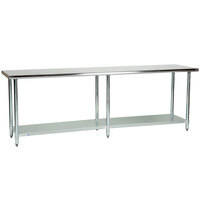 This table ships unassembled to save you on shipping costs. 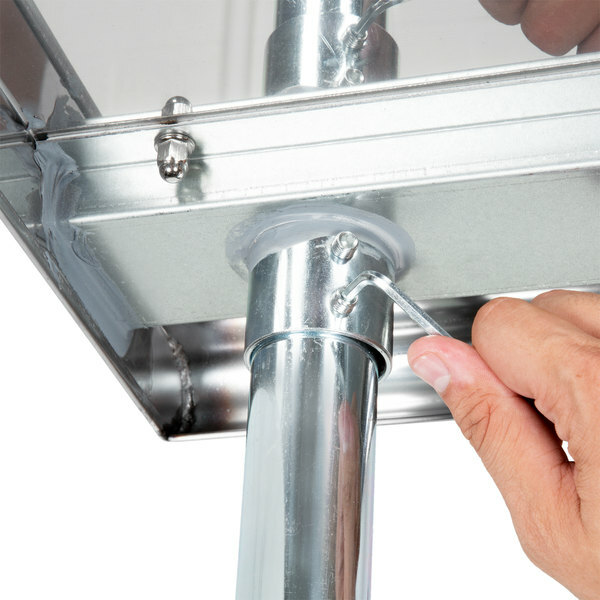 An allen wrench and set screws are included for easy assembly. 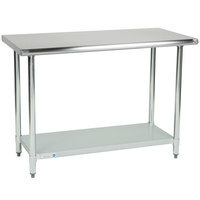 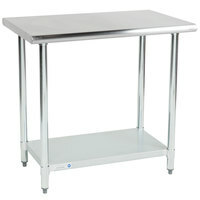 Eagle Group T3072SE-HA Right Crank 14 Gauge Type 304 Stainless Steel Adjustable Height ADA / Ergonomic Work Table with Undershelf - 30" x 72"
I love this stainless steel table , easy to install , and its a lot of cheaper than lot of place out there . 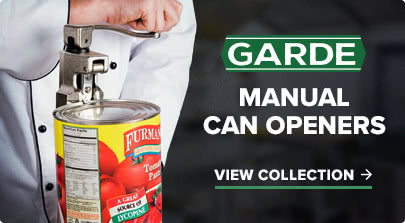 very strong and high quality . 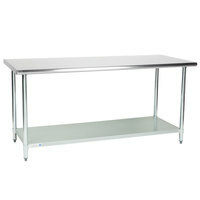 These are a wonderful addition to our production room. 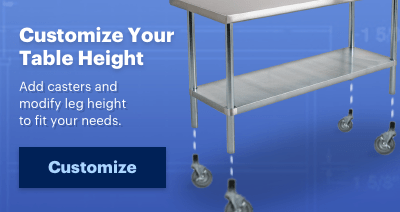 These are easy to move around and withstand a lot of wear and tear without fail. 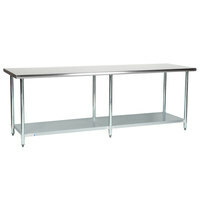 Great table. 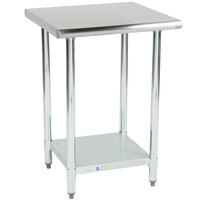 Sturdy, I have a fountain soda with 100lb ice bin and there's no issues with support. 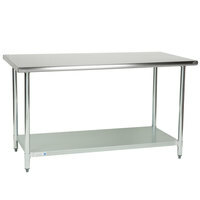 I would recommend to anyone that needs a strong table.